Crime in rural areas of West Mercia is relatively low when compared with national averages, but despite this the fear of crime can be a lot higher. It is important that our rural communities have confidence in policing, and it’s been our intention from the outset to improve that confidence through effective engagement. We want people to report crime, report suspicious people and vehicles, set up watch schemes, and work with the police. We made rural crime a policing priority because this is what people in rural communities were telling us, and we have provided extra funding to deliver a range of improved services, working with a range of partners, and with a focus on crime prevention. We need to ensure that rural communities have the same access to services around policing & crime as more urban areas, and equip those communities with the knowledge and resources to take the lead in making their particular areas secure, safe, & preventing crime. 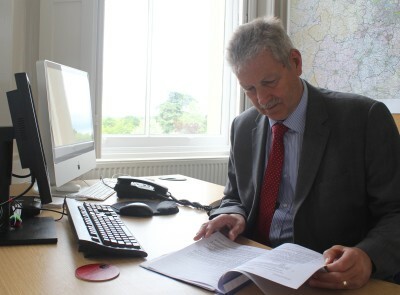 A rural crime strategy has been developed and is driven by a combined rural and business crime board made up of the two Deputy Police and Crime Commissioners (we are in a strategic alliance with Warwickshire Police); a Police Superintendent who leads force operations; Chambers of Commerce, the Federation of Small Businesses; Trading Standards; National Farmers Union; National Farmers Mutual Insurance; Community Safety Partnerships; and others. Our desire was to ensure that this was a partnership approach and we successfully engaged with the five Community Safety Partnerships across West Mercia to produce a work plan, to deliver the aims and objectives of the rural crime strategy. Funding of £1 million has been made available each year for a period of 5-years (starting 14/15). A similar approach has been taken in Warwickshire where £0.5 million has been made available each year but they have not engaged their Community Safety Partnerships in the same way. In Herefordshire we have seen the High Sheriff chairing a number of rural crime forums which have been set up by the National Farmers Union, and in Shropshire recently a series of farm walkabouts were arranged involving local farmers, security advisors, and crime prevention officers. A ‘Stop Thief’ campaign has been launched which is proving popular with farmers, and we are about to launch a number of specially designed vehicles to go out into rural communities on a daily basis to engage with communities and provide a wide range of advice, information, and support. We have recently assigned a brand name ‘Rural Matters’ and there is considerable activity taking place across all of our three counties (Herefordshire, Shropshire, and Worcestershire), including the appointment of local Rural & Business Crime Co-Ordinators – funded by the PCC. This activity is wide ranging and includes operation Leviathan (fish theft); project poacher, enhancing and encouraging more watch schemes; cross border operations, wildlife crime; and tackling a range of other crime that is of interest to rural communities such as livestock theft, equine theft; heritage crime, and fly grazing. Beyond those issues though, we are working hard on all aspects of policing & crime in rural areas. We want to improve confidence in policing within those specific communities and we plan to achieve this through more visibility, more engagement, problem solving together, and better communication.